I’ll share mine if you share yours…cleaning tips that is. Cleaning my Excalibur dehydrator trays and screens are probably my least favorite thing to wash, but I’ve found a few tricks that work. 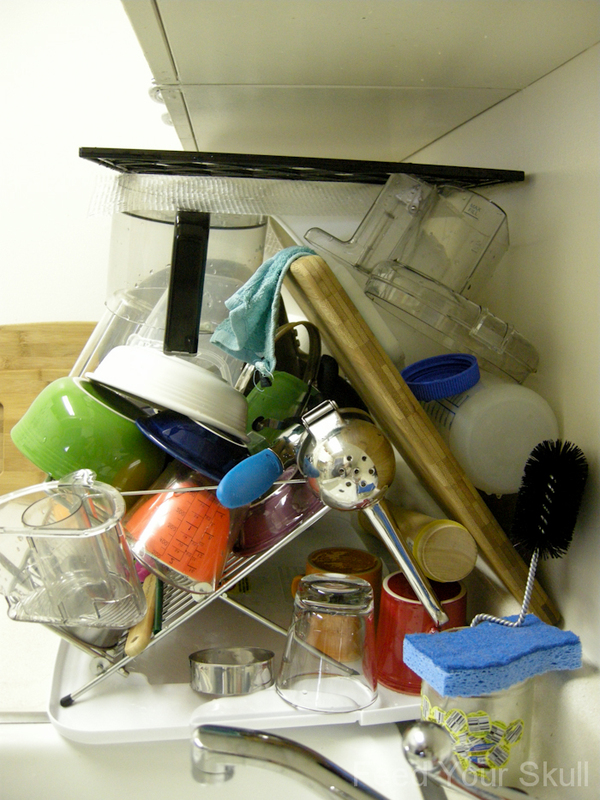 Important things to know, we don’t have a dishwasher. So – any washing has to be done in the sink. Really that’s not a big deal because the only thing that can go in the dish washer, on the top rack, is the tray itself. 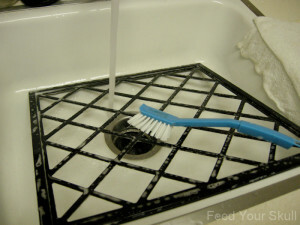 Use a good scrubbing brush, I find it knocks everything off and does a way better job than a dish rag. 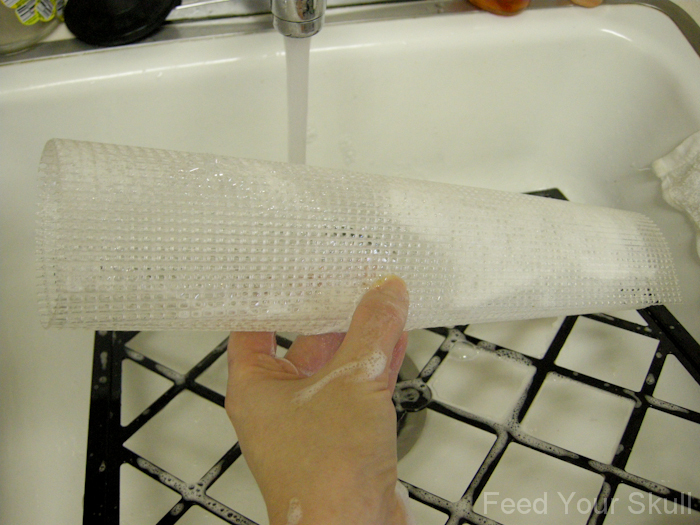 Rolling up the mesh screens to rinse seems to work the best for getting the soap suds off – quick like. 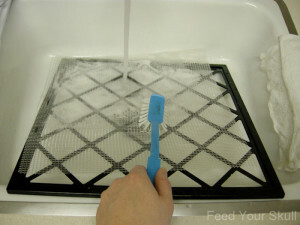 Let everything air dry or dry them in the dehydrator. haha It feels like I could wipe and wipe and there will still be some water that I missed, so I just let nature do its business. I use a little office clip attached to a twist tie to hang and dry ziploc bags and teflex sheets. You were thinking classy. I already knew. Now tell us your secrets? Thanks for those ideas. I hadn’t thought of using a vacuum! I have parrots and Teflon is toxic/fatal for them so I don’t use the sheets. And there’s lots of info about it being bad for humans also. I use parchment paper instead. You are welcome. Thanks for your tips as well! I am jealous you can lay your trays flat. I don’t have that luxury and they are a pain to clean!